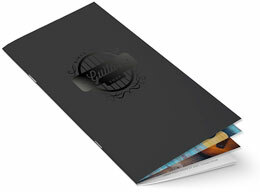 Foil stamping turns a simple catalog into a gleaming promotional item that just begs to be read. Foil stamping is a special printing process that uses two heated dies to impress a catalog with pigment or metallic film. The result is a lustrous pop of color in exactly the right places. Foil stamping is frequently used along with embossing to create shiny 3D effects. If you think foil stamping means silver and gold, you're right - and wrong. Foil stamping comes in all the colors of the rainbow, plus some special effects. Set a festive mood with metallic foils to match the season - think orange for Halloween or red, white and blue for the Fourth of July. Use gloss pigment foils for brilliant color. Try matte pigment foils in dark hues to create a feel of elegance and sophistication. 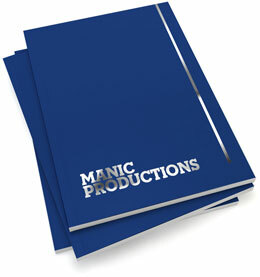 Use specialty foils such as wood grain, marble and leather to remind people of your product. Create a "can't miss it" effect with holographic foils. Foil stamping looks best on smooth, thick paper stock. For a crisp image, avoid textured stocks like linens. Your catalog page count should include both sides of the front and back covers, as well as the inside pages. Because of the way catalogs are printed and assembled, your page count must be a multiple of four. Foil stamping is opaque, so you can place lighter foil on a darker background. Your foil effect will be most striking if there's a high contrast between the foil color and the background color. Catalogs are an old fashioned yet newly trendy way to showcase products. When used as part of a multi-channel marketing campaign, catalogs give people a tangible reminder of your company. And with mailing dates and source codes, catalog effectiveness is easy to track. Catalog-style printing is also perfect for annual reports, informational guides, training manuals, cookbooks and event programs. Use catalogs instead of brochures when you want the freedom to include more information in a booklet-style format. It's easier than ever to send different catalogs to different users, according to their product and shopping preferences. People who order by phone might want a complete catalog, while those who typically buy from the internet may only need a short one to give them a taste of what's available online. Use different foils on different versions of the catalog to help you keep track. Catalogs also make great product guides because there's plenty of room for images, detailed descriptions, diagrams, specifications, graphics and testimonials. 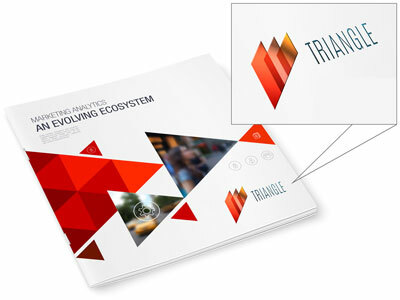 Foil stamping gives product guides a more upscale feel and is perfect for higher end offerings. Use foil stamping to direct readers' attention to the information you want them to notice. Foil adds sparkling accents to company or product names or logos. Use foil on or near your phone number and web address on the back of the catalog. Use foil to highlight a feature of the product itself. Readers will instantly take notice of the shiny red bicycle on the front of a bike catalog. Catalogs are an old marketing tool, but they're still important in the internet age. Give yours a distinctive look with foil stamping and it's sure to win attention. Have questions about using foil stamping on catalogs?